Tracy began her career in healthcare at Willimansett West in 1988 as a nursing assistant. Upon graduation from nursing school, she transitioned to a staff nurse role. 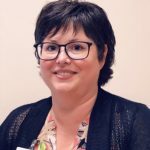 She has subsequently served in the role of charge nurse, Unit Manager, Director of Clinical Reimbursement, and currently, as Director of Nursing.